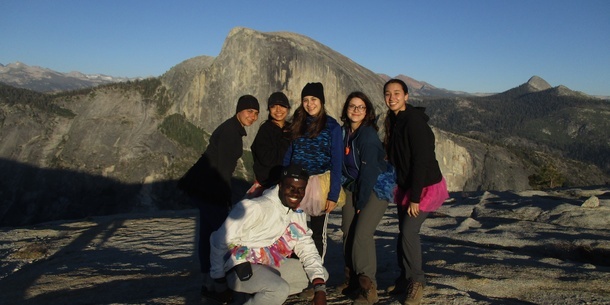 This June, Wildlink alumni from around California brought their friends and family to Yosemite. 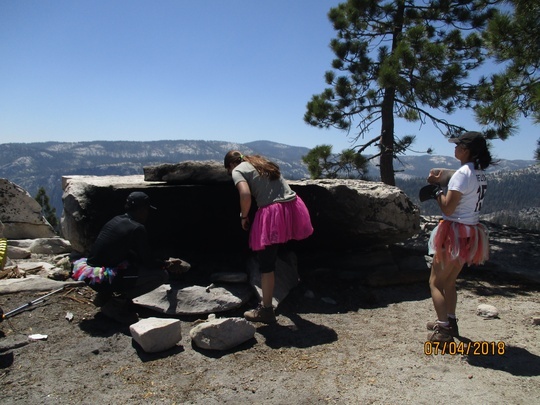 The group arrived to Crane Flat campus on Tuesday afternoon and headed on a relaxing hike to see giant sequoia trees in the Tuolumne grove. 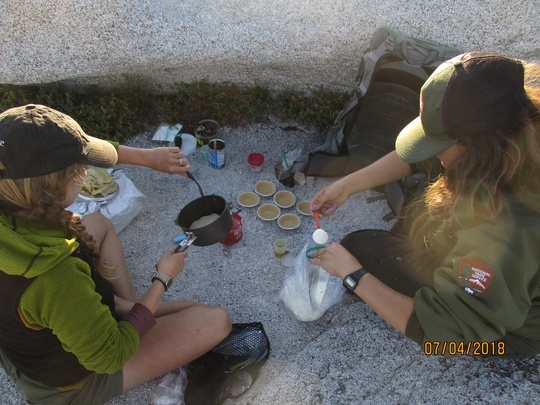 We spent Wednesday excitedly packing and preparing for our backpacking trip, and had some time in the evening to paint in the meadow and get to know each other a little better. 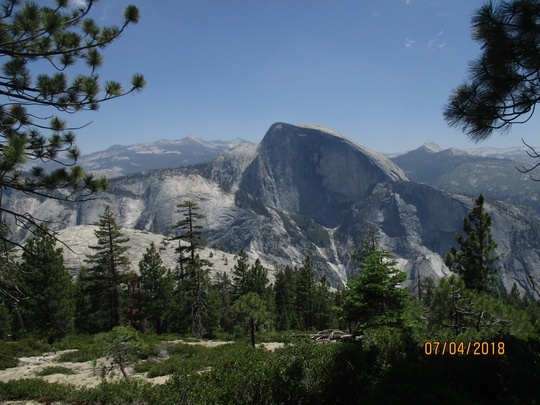 Thursday we headed out on our three-day expedition in the Yosemite wilderness. 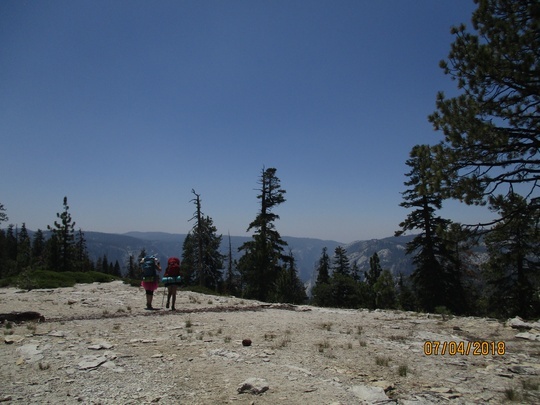 Our trek began at the porcupine creek trailhead, and hiked to the north rim of Yosemite Valley and back. 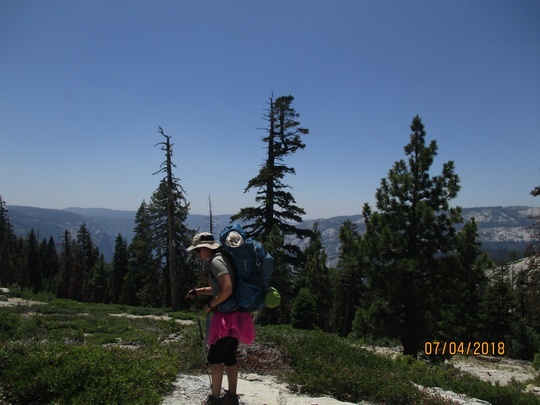 On the way, we experienced expansive vistas of the wilderness and the valley. 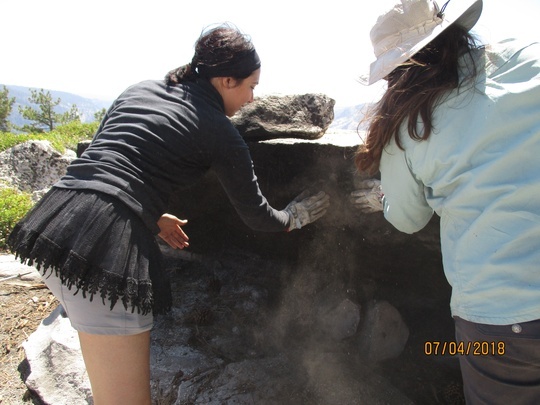 Some highlights of the trip were wearing colorful trail tutus and making delicious homemade tortillas between the lids of bear canisters! 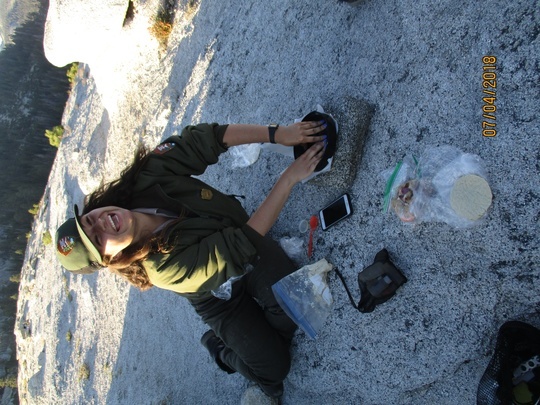 The Wildlink alumni were excited to use the skills they gained on their Wildlink trips to share a backcountry experience with their families and friends. 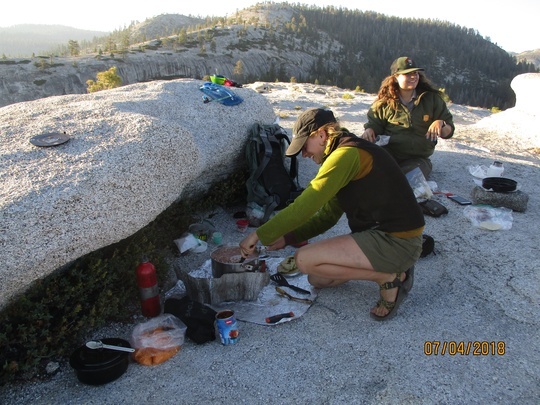 NatureBridge Educator Ayla and the group's Wilderness Ranger collaborate on a delicious 4th of July dinner for the group on top of North Dome. They made rice and beans, homemade tortillas, and mini cheese cakes! 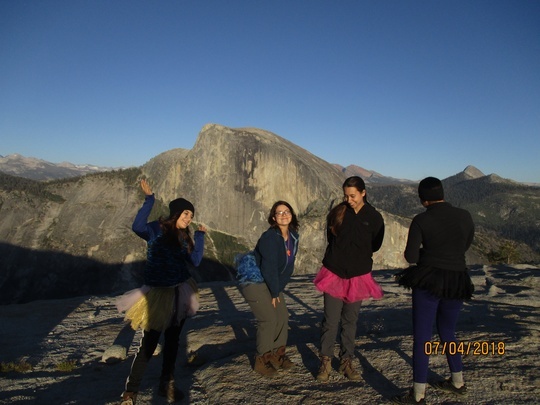 Showing off their tutus to Tis-sa-ack, the Native American woman whose face is seen in Half Dome.